Former President Lee Myung-bak filed an administrative lawsuit against the prosecution over its use of presidential office documents in the investigation into corruption allegations involving him. During a raid of DAS, an auto parts manufacturer owned by Lee’s brother, in late January, prosecutors seized documents from Lee’s presidential office found in the basement storage. The prosecution has been looking into allegations that DAS ran slush funds for the former president. As the presidential files should have been stored in the Presidential Archives by law, the prosecution was issued an additional search warrant for a possible violation of the law on management of presidential records. Leaking or hiding of presidential records is subject to a jail term of up to seven years. Lee’s aides said the presidential files got mixed up with Lee’s personal belongings by mistake during packing at Cheong Wa Dae at the end of Lee’s term. They requested the prosecution to send the documents to the National Archives. Lee’s aides claim that the prosecution violated the law by not sending the presidential files straight to the Presidential Archives to use them as material for investigation. The administrative lawsuit filed last week calls on the court to confirm the illegality of the prosecution’s nonfeasance. “The warrant the prosecution received from the court was related to the investigation of DAS,” Lee’s aides said in a press release in early February. The prosecution rejected their demand, saying that the fact the presidential files were kept in the storage of DAS, which Lee claims had nothing to do with his presidential office, shows that they have significance as evidence. The documents were found in the basement of a Seoul building owned by Lee’s Cheonggye Foundation where DAS rents office and storage space. Prosecutors reportedly found records of Lee’s hidden assets and transactions between Lee and DAS in the storage. 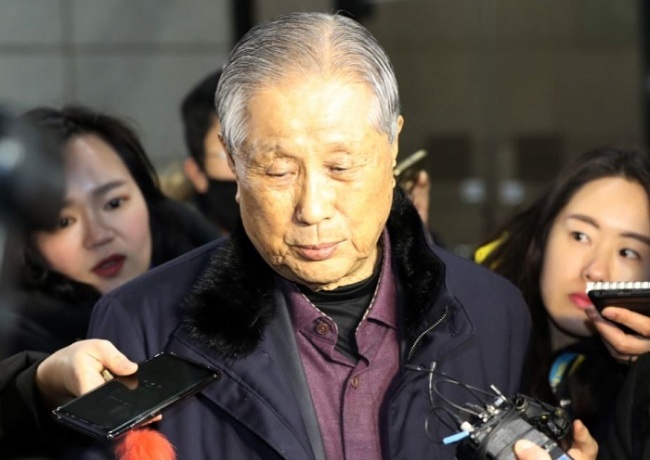 Prosecutors on Thursday interrogated the former president’s elder brother and DAS chairman Lee Sang-eun over various suspicions surrounding DAS. Lee Sang-eun denied any connection between DAS and his brother in response to reporters’ questions as he left the Seoul Central District Prosecutors Office Thursday night. The former president is expected to be summoned for questioning later this month.